The birth of the Appaloosa horse the “horse with the spots” is lost in the mists of time. In fact, cave paintings are found in Lescaux and Peche Merle in France, dating back to 18,000 BC. but it is thought that the painted horses are more the representation of dreams and visions than the horses actually used by the primitives. The typical spotted coat has given the Appaloosa Horse many names: from the mystical Celestial Horse in China, to Knabstrupper in Denmark, to the Tiger in France but the real birth of today’s Horse Appaloosa, name born in the late 1800s, to call the spotted horses of Palouse region, it is due only and exclusively to the Tribe of the Nez Percé. At that time the Appaloosa Horse was called “a Palouse Horse” until, over the years, the “A” joined the name of the river to become first Apalousey and then Appaloosa. Most likely the word Palouse originates from the Sehaptin language, spoken by Nez Percé and the Palouse Indians and means, more or less, “something thrown into the water”, referring to the large rock at the confluence of the Snake and Palouse where the main villages of the Palouse and Palus were built. The arrival of the Apaloosa Horse in North America dates back to the sixteenth century thanks to the Spaniards, who settled north of the Rio Grande Valley and used them for breeding, traveling and their entertainment. In the early 1700s Nez Percé bought horses from Shoshones, in South Idaho, at that time the most important horse dealers. The territory occupied by the Nez Percé was more suitable for breeding, as well as being more protected from enemy attacks. So, in a short time, the herd increased in number and value, thanks to the selection practiced by this tribe compared to the others that had been set and the intersection between females and stallions faster and more athletic. Years followed but very difficult for all the Indian tribes, especially for the Nez Percé, who began in 1836 when the first missionaries arrived to spread the Catholic religion to the Indians, trying to make them abandon the horse races, the hunt for buffaloes and the Blackfoot struggles to bring them back to the ancient habits of collecting crops and managing livestock and continued with conflicts between settlers and Indians. These conflicts had an alarming crescendo so much to force the Government of the United States, in 1863, to reduce the territory of the Indian even of 90%. Other events followed and the surviving Indians were sent to North Dakota, and among the 1,000 or so horses surviving the escape, some were taken away from them to be resold to cattle breeders, others escaped into the prairies and thus lost track of these splendid and proud horses until 1937. In that year, in January, Francis Haines published the first of many articles on the Appaloosa Horse on the Western Horseman Magazine, capturing the attention of many owners of this breed that favored the foundation of the Appaloosa Horse Club 1938. Today the ApHC is the International Appalooa Horse Registry with more than 635,000 registered horses and 33,000 members. The story of the Appaloosa Horse, as you will have understood, is inextricably linked to the Nez Percé, their breeding culture and intelligence and we must thank this Tribe for creating these wonderful horses that now keep us company on walks or help us win our races. In the blood of the Appaloosa Horse still flows the fury of wars and the fire of the races but is a sincere, excellent companion with whom to spend very pleasant hours immersed in nature. The Appaloosa Horse is suitable for almost all equestrian disciplines, including racing, show jumping, dressage, reining and endurance. Outside the agonistic world, the Appaloosa Horse is excellent for working on ranch, for walks and for lessons. Thanks for the visit and we look forward to it soon. Every Your visit is particularly welcome but before leaving our site discover our Watches Collection, naturally dedicated to the horse. 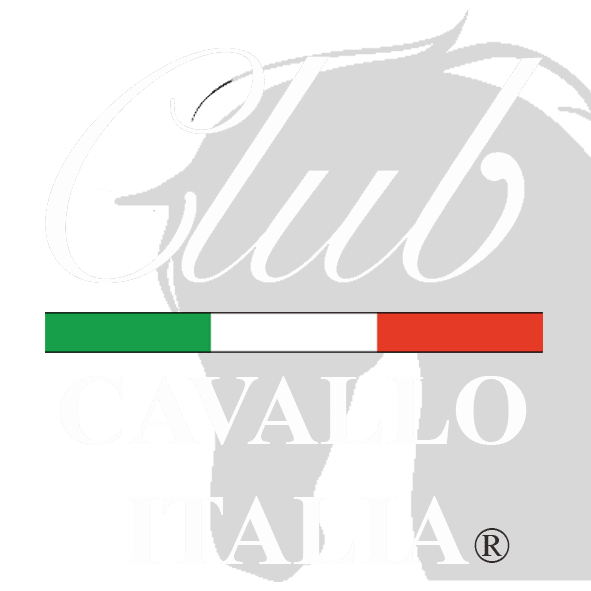 Just a moment, please: if you liked the Appaloosa Horse send the page link to those who will appreciate it, we will be very happy and if you want to write us: info@clubcavalloitalia.it We always answer. Thank you again.